As many as 9 international transport corridors pass through the territory of Ukraine. Volume of motor cargo transportation in Ukraine totals to about 150 million tons annually, including the domestic market, as well as international and transit. 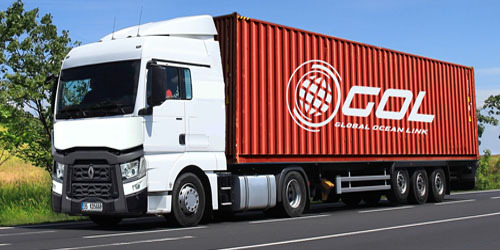 Global Ocean Link arranges delivery of containers by motor transport in Ukraine and other countries. The range of goods transported by the company is quite large: from electronics and household appliances to bulky cargo, food products, grain, as well as cargo with temperature mode of transportation. Providing the needs of customers Global Ocean Link also provides services for the organization of road transport of goods in international traffic. Transportation of goods under customs control.